Dr. Olivares has completed at NIAR’s Computational Mechanics Laboratory a 9 year R&D project to Verify and Validate (V&V) the 2, 4, and 8 lb bird models for a range of impact velocities and conditions. 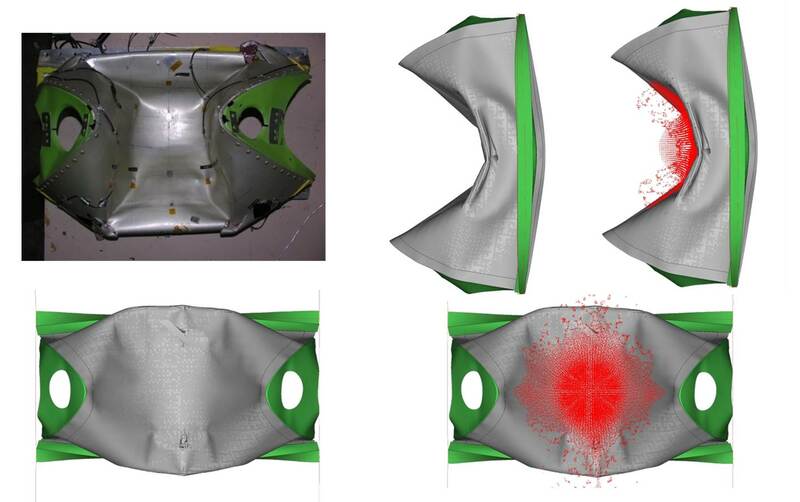 Parametric studies were conducted to develop a projectile shape that matches the various experiments conducted with real birds on metallic and composite structures. The discretization process of the SPH Bird model (i.e. 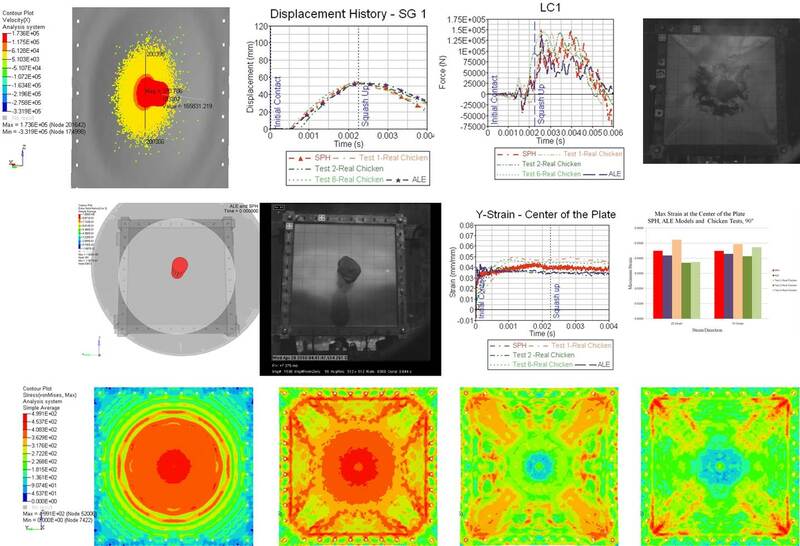 element formulation, SPHparticle pitch, material type definition, and equations of state (EOS)) used for analysis was validated for impacts on metallic and composite structures at various impact velocities. The discretization process of the ALE Bird model (i.e. element formulation, material type definition, and equations of state (EOS)) used for analysis was validated for impacts on metallic and composite structures at various impact velocities. All the contact parameters (i.e. contact type, contact formulation, friction parameters, structural and numerical damping) have been validated extensively with experimental data for impacts with metallic and composite structures. External camera mounts damage evaluation due to bird impact – support certification efforts by analysis. The verification and validation criteria used in multiple research programs included the following parameters: Load transfer, initial impact kinematics, secondary impact kinematics, structural deformations, strain fields (photogrammetry and strain gages), experimental and analytical data, composite and metallic structures [ see example load case bellow] . The verification and validation of the numerical model is documented to be within the scatter of the experimental results.